The exterior features on this travel trailer continue to amaze us with everything it has. If you were worried about being prepared to camp, you won’t have to worry with this easy-to-set-up Alpha Wolf. It comes with aluminum rims and provides you with an enclosed and heated underbelly, as well. The front has a gel coated front cap and and oversized awning, which is great for rainy days after your trailer is already set up. There is also a Morryde Cherokee Stable Step (with laser engraving) on both entrances (only available on some Alpha Wolf floorplans). 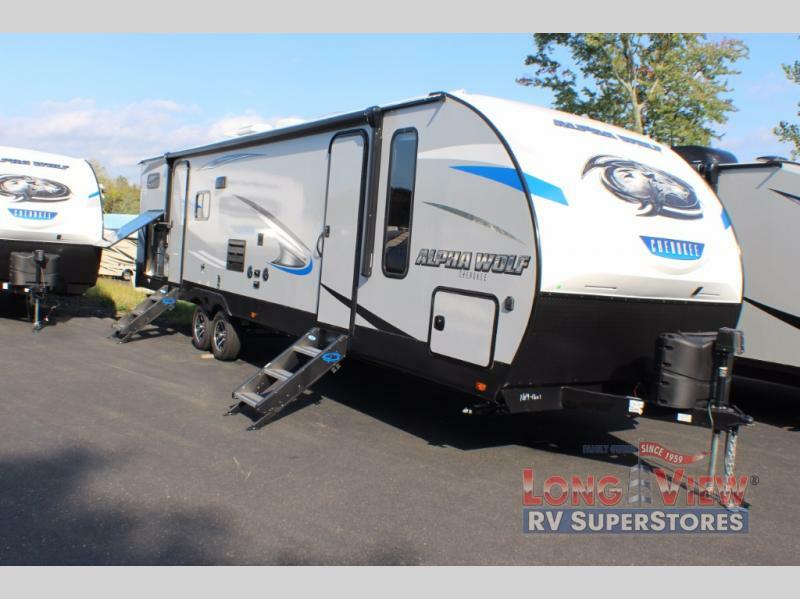 The Cherokee Alpha Wolf travel trailer is the first of Cherokee’s line up to be fully laminated, which makes them lightweight, well insulated, and able to provide a sleek and modern exterior. The tire pressure monitoring system and exterior shower with hot and cold water add to the usefulness and value of the Alpha Wolf, and the LED lighting on both the exterior and interior delivers a bright and cheerful atmosphere no matter what time of day it is. 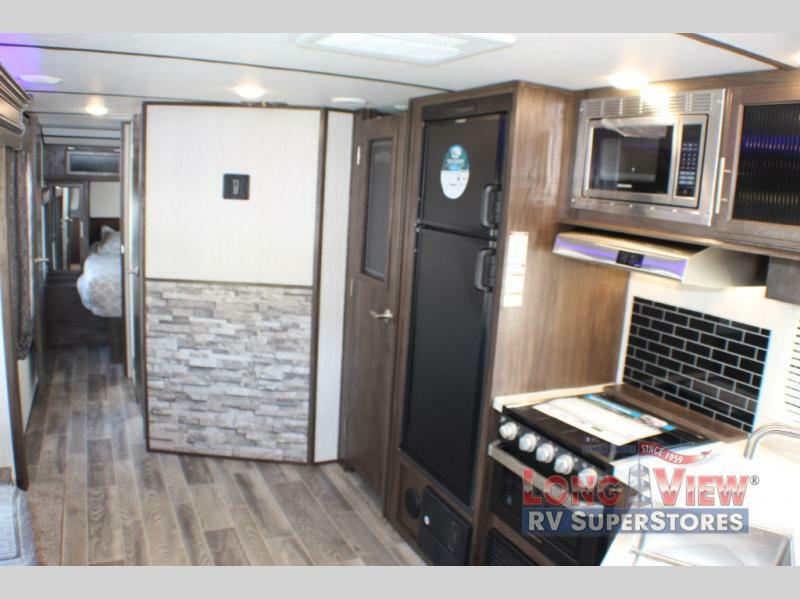 The interior is no different when it comes to great, convenient features for the avid RVer. When you get a travel trailer as beautifully designed as this one, you’ll never go back to tenting or even the ground again! Depending on the model you choose to go with, unique amenities fill each one. It’s time to get out into the woods and relax around the campfire… and then spend the evening in your safe and warm Alpha Wolf for sale. If you have any questions about this RV or any of our others that we’re selling, please contact us. Making connections with our customers is always a top priority. When it comes to finding the right RV, we’re here for YOU!